But as an "artist date" for our German book blogging group about Cameron's "The artist's way" I did this. 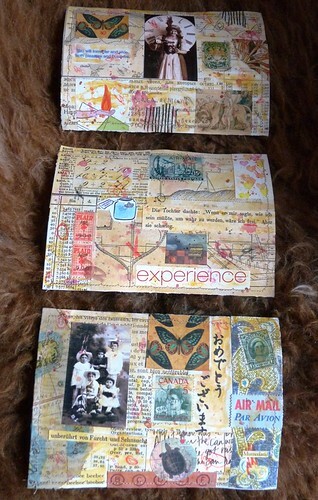 Three postcards. These are all very attractive. These postcards are lovely! You don't look stuck! Your doing great!! These are beautiful. They have your "signature style"! For being stuck...you've created some great pieces!!! Very nice indeed!! Love your art work so much!